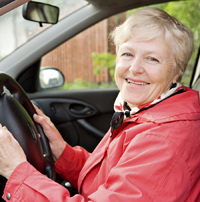 Mom’s (82) poor eyesight caused her to give up driving several years ago. She’s managed to live independently because her closest friends drove her wherever she needed to go. Only one friend (Helen) still drives. Mom says Helen’s quite confused and keeps refusing Mom’s offer to accompany her to the doctor for help. Mom’s making excuses to avoid riding with Helen but we’re all worried about “an accident waiting to happen.” Do we have options? 1.) If Mom and Helen visit the same physicians, ask him/her to call Helen for a medical workup to identify the cause of her confusion. There are over 50 diseases and conditions that have symptoms of confusion and many of them of treatable and reversible. 2.) Speak with Helen’s family and explain the risks. If they’re willing to help, refer them to Alzheimer’s Community Care (Martin 772-223-6351/St. Lucie- 772-460-9166; Ft. Pierce- 772 466-3261); Alzheimer’s Assn. (all areas: 800-272-3900), or Alzheimer’s/Parkinson’s Assn. (Vero 772-563-0505) for help. If family members won’t or can’t help, we hope you and Mom will make the call to these experts. 3.) Be sure your plan includes alternative transportation for Mom and Helen.